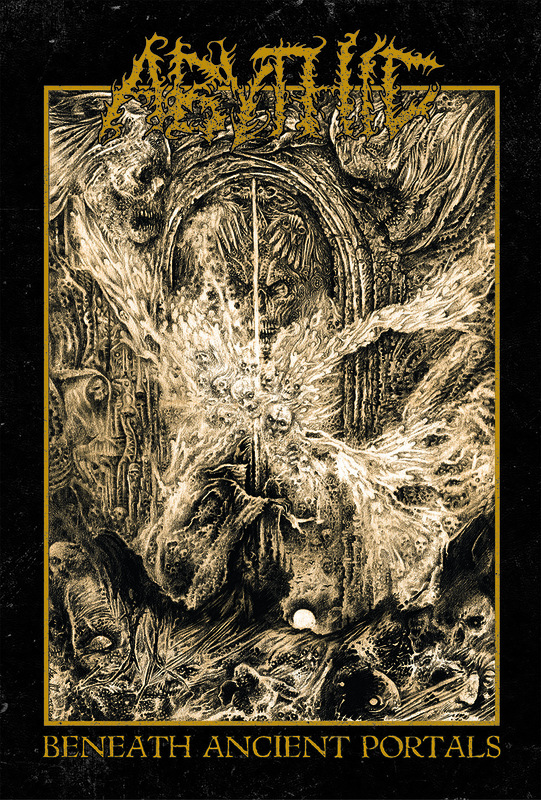 BLOOD HARVEST RECORDS is proud to ABYTHIC's highly anticipated debut album, Beneath Ancient Portals, on CD, vinyl LP, and cassette tape formats. Hailing from North Rhine-Westphalia, Germany, ABYTHIC formed in 2015 and soon recorded & released their first demo, A Full Negation of Existence. Aptly titled, the demo portrayed four foul tracks of churning death metal of a most early '90s mold. Alas, that was an all-too-brief teaser for Beneath Ancient Portals, the band's full-length debut. Also aptly titled, Beneath Ancient Portals sees ABYTHIC taking the demo's same rudiments – patient and pulsing riffing, linear composition, an emphasis on doomy downtempo segments – and brings them to fuller fruition, diving deeper and deadlier into thundering, desolate DOOM. 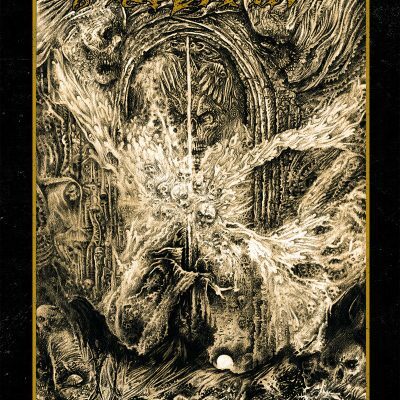 In many ways, Beneath Ancient Portals often recalls the proud 'n' powerful class of mid-period Bolt Thrower, Asphyx, Grave, and Pentacle, so hypnotically heaving is their dreadnought weight here. 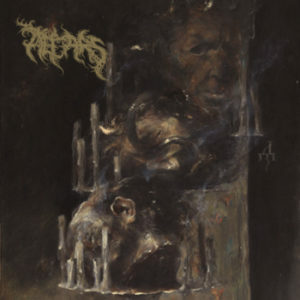 But in other ways, ABYTHIC put their own stamp on doomy death metal through a potently occult aura…or one that sounds like a crypt slowly opening, all before a rust- and blood-covered tank rolls forward out of it, crushing all in its path. It's simply mesmerizing either way.